Georgian airports saw 23% growth in passenger traffic during the 9M 2016. All in all the airports served 2.182 million passengers. The passenger growth in 1H 2016 amounted to 21.3% while it was 12.6% in 2015. The Georgian Economic Ministry stressed that the traffic has shown growth by 103% since 2012. The maximum number of passengers was served by the country’s main airport in Tbilisi (79.1% of the total passenger traffic). The airport receives the flights of 31 airlines operating on 36 destinations. Three more companies to commence flights to Tbilisi by the year end: Turkmenistan Airlines (flights from Ashgabat), Pobeda (to launch flights from Rostov-on-Don, Russia) and Dart Airlines (to launch flights from Kiev, Ukraine). Batumi airport took the second place with the share of 12.4% of the total passenger traffic. This hub serves 16 airlines. Six of them came to the airport in 2016 with flights to 15 destinations. Kutaisi airport which is the only hub in the region orienting on lowcost carriers has served 8.4% of the total passenger traffic. Today four airlines are present there flying to 15 destinations. Notably one of the largest European lowcost carriers Wizz Air opened its hub at Kutaisi airport in September, its rival Ryanair has also expressed its interest to do the same. Another airport operating in Georgia is Queen Tamar airport in Mestia served 0.14% of the total passenger traffic (31,404 passengers with 44% foreign citizens). This hub serves only local flights. 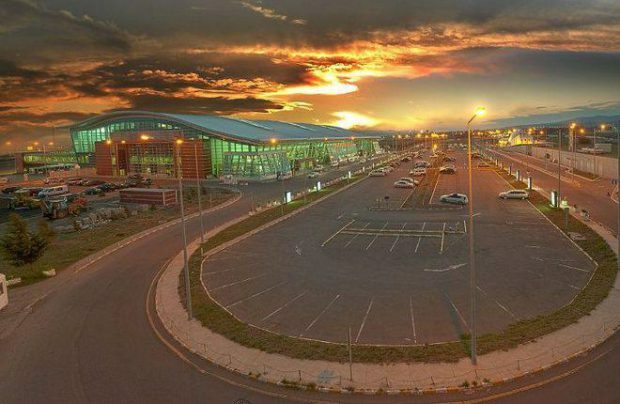 Georgian Ministry of Economy said the passenger traffic growth is stipulated by the “correctly elaborated policy and relentless cooperation between the public and private sectors”. According to Business Georgia data, 33 airlines are active in the four airports operating in Georgia.